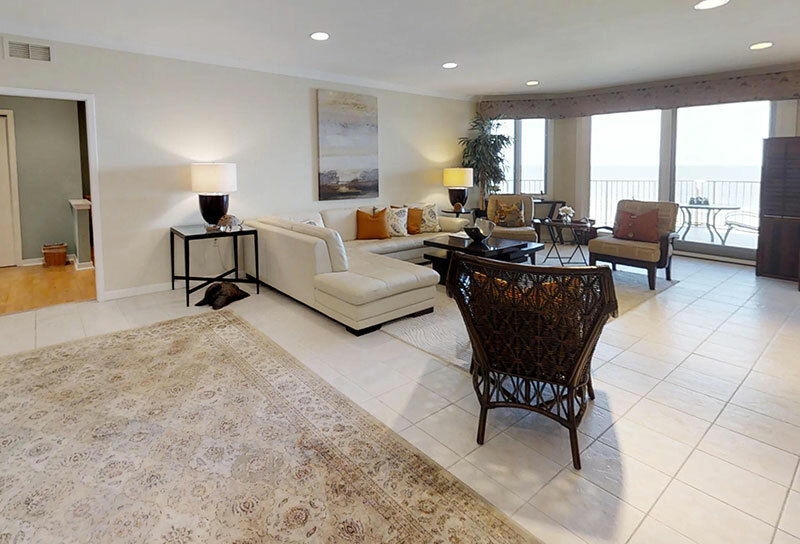 view of the Atlantic coastline that can be enjoyed from the spacious balcony, large great room, kitchen and master bedroom. The bedrooms include a Master with King bed and access to oceanfront balcony, TV and full bath with tub and separate tile shower. The first guest bedroom has 2 queen beds, TV and full bath with shower/tub combination, and the second guest bedroom has 2 twin beds, TV and full bath with walk-in shower. Nice home, very comfortable and very well furnished. Location is great. The home was beautiful and well taken care of. It was a wonderful week!!! Lovely condo (Turtle Lane #402)-couldn't have hoped for a better view! Pools were good but would benefit from updated chairs. The location of the complex was perfect...we chose it for that reason from past experience. Overall, a very good experience.